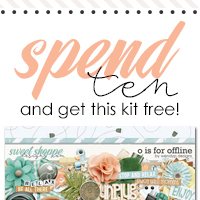 A gorgeous digital scrapbooking product from our featured designer is always yours free when you spend $10 in the shoppe! Check back often to see what's new! View all of the current sales.